The Phantom Insight Fleet Management system uses state of the art GPS technology to pinpoint your assets in real-time with an accuracy of a couple of metres. It’s perfect to find an employee’s current location via the App or Web portal - or if more information is required, you can visit the reporting suite. 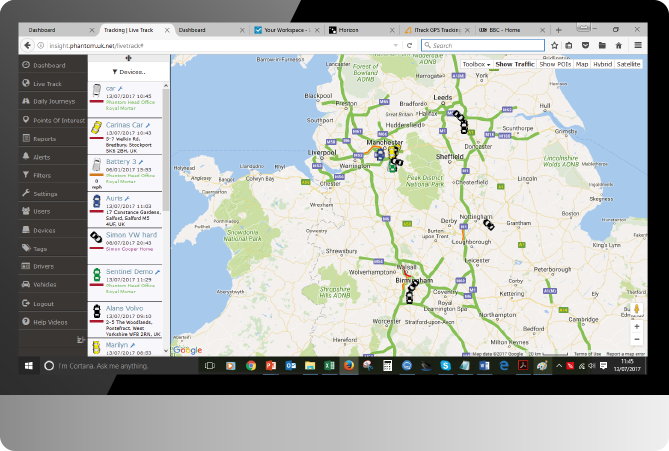 From here you can use the information to create weekly timesheets, mileage reports and complete customer billing. WHICH DIRECTION IS YOUR COMPANY GOING IN? 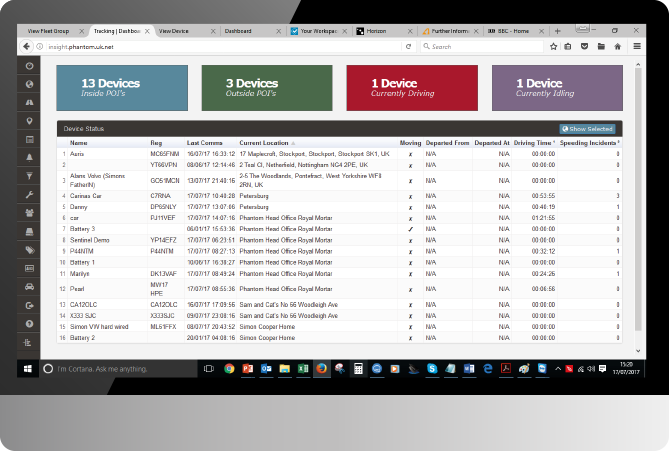 This provides a summary and overview of your whole fleet of vehicles. You can see at a glance who’s currently driving, idling or at a customer’s location. This shows the current location of all selected vehicles on a map, with time and speed if the ignition is on, or the time vehicle parked together with the address or POI ( point of interest ). The map can be either viewed as a Road, Satellite, Hybrid or Street view and is also used to display detailed journey information “snail trails” and comparisons to an optimised route. Other options from Live Track include real time traffic overlays and navigation. 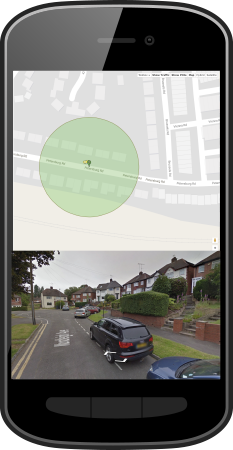 When used in combination with POI’s this is a very powerful tool which gives you real time customisable alerts via email for scenarios such as curfews, speeding, bad driving, out of hours usage, entering or exiting of certain areas and more. POI’s (points of interest) bring clarity to reports by replacing street addresses with, for example your customers, suppliers or drivers home address. 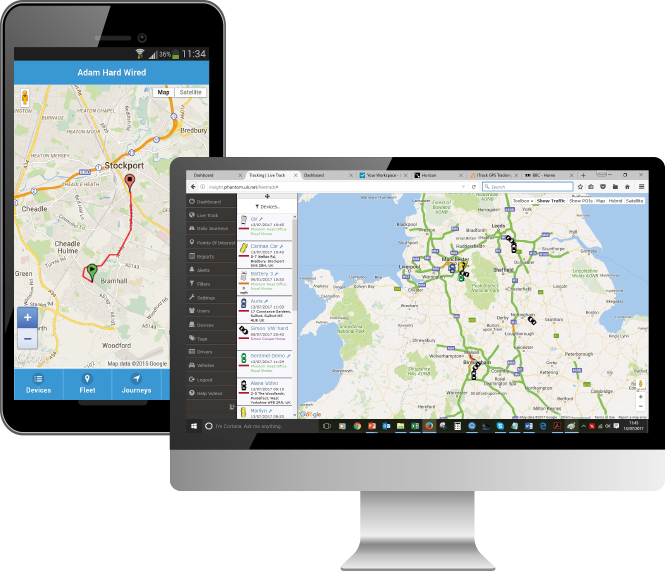 You can have as many users as you like monitoring your fleet, in whole or part from either the Apps (for Apple and Android devices) or from the web portal. Doesn’t require dedicated computer hardware or software, they’re entirely web/app based and can be tailored to suit your exact requirements. These systems can be purchased, rented or leased, please contact us for further details.